The latest edition of Art & Home is here! From thoughtfully landscaped grounds to immaculately manicured gardens, what lies just outside the front door is what makes a house a home, finds Iyna Bort Caruso. Frederick Law Olmsted, the founder of American landscape architecture, sought to channel the “genius of a place” in his projects. He believed every habitat had a spirit of its own and accessing that quality was the most meaningful way to connect with one’s surroundings. At their best, designed landscapes appear spontaneous – an extension of nature’s best expression. On private estates, these elegant statements go beyond initial visual impressions or curb appeal. Gardens are a full sensory experience of colors, scents and textures. They lure you inside and guide you through multiple spaces that, by turns, can be meditative, enchanting and surprising. “Gardens are very experiential and very ethereal,” says Miami-based landscape architect Raymond Jungles, who has worked throughout the Caribbean and Latin America. In reinterpreting the environment, designers consider the site, orientation of the sun, climate and architectural style of the residence. Landscapes can also be used to camouflage flaws. For homes that lack strong aesthetic merit, “landscaping can become the dominant design element that allows residences to recede and fade into the environment,” says Jungles. Even in dense urban settings, rooftop gardens, courtyards and balconies enable residents to feel connected to nature. They soften the city’s hard edges while providing an oasis of calm. This grand lakefront estate exudes the elegance and grace of an historic English manor. Charming gothic features throughout the home are tastefully and thoughtfully combined with the highest modern technologies to create the ultimate retreat. The expansive grounds are comprised of a unique synergy of lakeside views with sophisticated gardens. Combining the elegance of a royal European country estate with the amenities of a five-star resort, Three Ponds Farm offers an unparalleled private residence on nearly 60 picturesque acres. Meticulously designed and executed with the finest imported materials, the eight-bedroom, twelve-bath manor home with guest wing and staff quarters is a tour de force of custom luxury design and contemporary flair by renowned architect Allan Greenberg. The beautiful outdoor oasis includes magnificent formal gardens, a rose garden with orangery and over 7,000 specimen trees. Built to the most exacting standards and exemplifying graceful and symmetrical design, the Rameses Estate took over five years to remodel. This singular property comprises a main residence of over 13,000-square-feet with six bedroom suites and nine bathrooms, as well as a private office, screening room, billiard room, art room and four-car garage. Venturing beyond the picturesque residence, guests find themselves in formal gardens that flow into expansive lawns, private walkways and romantic rose gardens. With the planting of over 20,000 trees, shrubs and flowers through the years, the spectacular Emerald Lake Estate is a veritable paradise with a resort-like ambience. This meticulously developed estate boasts the private 25-acre Emerald Lake, a world-class bass lake with ten islands, a nine-acre Japanese garden and a seven-acre botanical garden with over 5,000 azaleas, both designed by landscape architect Keiji Asakura. On the Golf de Biot, discover this sublime and rare residence designed by architect André Svetchine. This beautiful domain is entirely enclosed, offering exceptional living amidst French gardens, ponds and olive trees. The main property provides spacious living opening onto two terraces; one is covered and overlooks the French gardens while the other overlooks the park. New York-based writer Iyna Bort Caruso has contributed to The New York Times, The Wall Street Journal and Newsday, among others. Discover much more in the Art & Home digital edition now on iPad and Android! The Telluride Ski Resort set a record for the number of skier visits during the 2014-15 ski season, according to Telluride Ski and Golf President and General Manager Greg Pack.“We had an incredible winter. 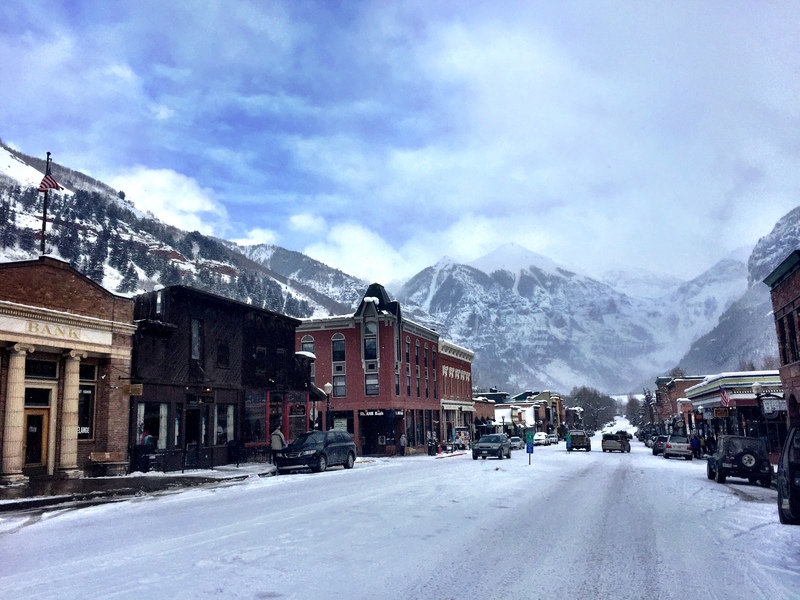 We had a record season skier-visit-wise, revenue-wise, the whole bit,” Pack told Telluride Town Council members during a work session Tuesday. The resort saw roughly 478,000 skier visits during the winter season, an increase over the previous season’s approximately 454,000 visitors and a sizable excess over the 470,000-visitor goal the resort’s management set for themselves. Pack said that renewed marketing efforts on several target demographics helped create the record year, including increased attention to the Australian and South American markets during the month of January. That bump is all the more remarkable because of the nature of the season’s snowfall, with intermittent big storms punctuated by extended periods of blue skies. “We weren’t getting snow in January. It stopped for a month and a half,” Pack said. Dallas was also a focus this season for the resort’s management, Pack said, with a big push to increase flights out of the Texas city and an extensive marketing campaign that even included recruiting area ski shops for their advice on billboard placement in choice zip codes. The resort also focused on marketing strategies to drum up regional visitors from within driving distance, with the biggest percentage of those visitors coming from Durango, Farmington and Phoenix. Grand Junction, Pack noted, is not a big market for Telluride. Council members reacted in appreciation of the humble acknowledgement. 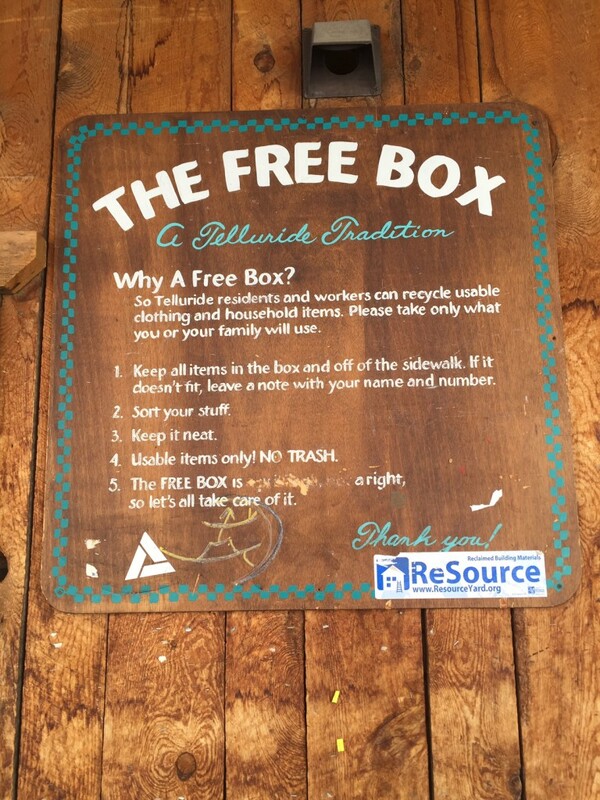 “We totally appreciate the fact that you’re working so well with the tourism board,” said Telluride Mayor Stu Fraser. Pack announced at the town council meeting that the man behind much of this season’s success, Vice President of Sales and Marketing Brad Larsen, announced his resignation on Monday in order to take up a job as the Resort General Manager at Idaho’s Tamarack Resort. And while that means the company will now have to search for his replacement, Pack also announced that the resort had successfully recruited a new PR and Communications Manager, Sharron Gibbs. Gibbs was previously a vice president at Ogilvy Public Relations based in Denver. She begins this week. In a general sketch of projects on the horizon, Pack listed working on improving beginner and intermediate mountain bike trails, a zip line and more summer activity, including destination weddings and conferences. A project to upgrade the interiors of rooms at Big Billies is also in the works, as is collaboration with private developers on more workforce housing. The 2015 designer showhouse at Sotheby’s—cosponsored by Architectural Digest—is now under way. The event, open to the public through April 19, will culminate with an auction of the items featured in the showhouse on April 20. “People love the juxtaposition of great pieces that were 20th century or 18th century or 19th century, or from two centuries B.C., all in the same room,” says Andrew Ogletree, Sotheby’s head of English furniture, in a video tour of the space. Hear more of Ogletree’s take on the showhouse in the video above. 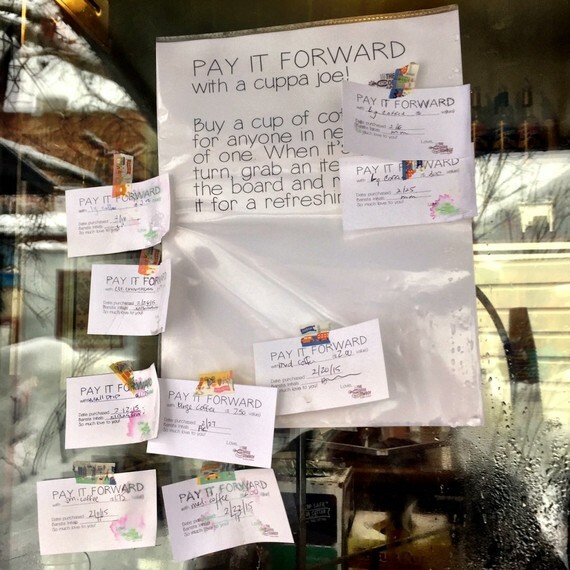 From carbon neutral micro brew festivals to the complimentary bio fuel bus, a ‘free box’, random acts of coffee kindness and no traffic lights. Why you should pay Telluride, Colorado forward. Some mountain towns just scream community and the box canyon town of Telluride in the San Juan mountains of Colorado has got it in spades. It helps that it comes with a picture box setting with soaring peaks thrusting skyward in an amphitheatre around the heritage town with a Main Street plucked straight from a Hollywood cowboy set. You have got to love a town that purchases 570 acres of gateway meadow known as The Valley Floor out of the hands of the San Miguel Valley Corporation and declares it open space, forever wild in perpetuity. Community one, greed nil. You have also got to love a town with no traffic lights, none, not one. If, like me, you’re a sucker for a farmers organic market, a local brew, a love of nature over corporations and random acts of kindness then you’ve come to the right place. The coffee here is good, so good we caught the gondola down each day just get a cup of joe. But what I really love in the little caravan on the main street is the Pay it Forward window where you buy someone a cup of coffee and leave the card there for them to pick up. The simple gifts in life mean a lot. Get in quick as the Free Box on the main street is cleared out every Friday. Locals and tourists heading home leave unwanted goods from clothes to televisions to skis, snowboards, camping gear and more for others to pick up for free. One guy I met at the box found himself a pair of zip off trek pants for summer that he was clearly chuffed with. Telluride is split between the town of Telluride on the valley floor and Mountain Village half way up the mountain. The two are connected by a free gondola that is run by wind power. They even have blankets for gondola riders to use in winter and dog friendly cabins for those travelling with Fido. The Galloping Goose is the town’s free shuttle bus service. If you grab bus #101 then you’ll know that your ride is run on non toxic, biodegradable, vegetable oil based biodiesel fuel. 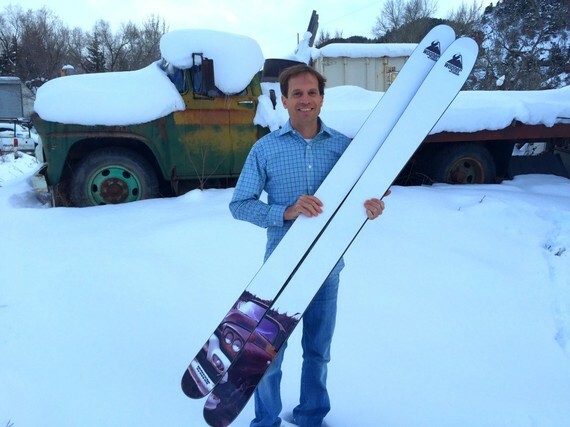 Pete Wagner makes custom made skis from a pre purposed gas station in Placerville using wind and solar power to ensure a carbon neutral factory. Not only are your skis one of kind made specifically for your own skiing DNA with a top sheet designed just for you, they are also good for the environment that means so much to those who care for the great outdoors. In our world that’s a double hitter. Ah, Thursday night — the only truly social night of the week. It’s the night when babysitters are booked, friends convene, and drinks are imbibed. There are no family obligations to fulfill, no amateurish weekend crowds to elbow through — and the possibilities are endless. The night starts after work and ends whenever you want. In any city. All over the world. This week, we’re presenting the perfect Thursday night in Telluride, Colorado. 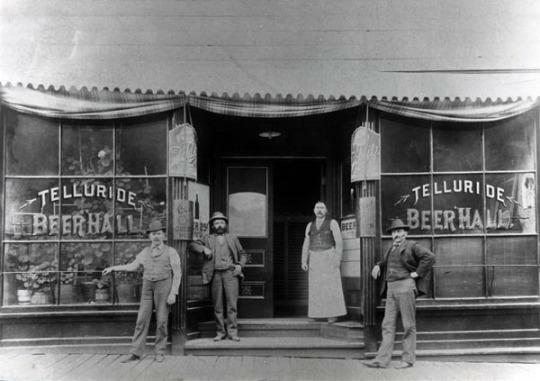 “To hell you ride” was once the colorful sendoff to the melting pot of fortune seekers heading to the San Juan Mountains in search of gold in the 1870s — and possibly even the origin of the town’s name, Telluride. But today it feels more like a little valley of heaven. In this True Grit territory — the original was filmed nearby in Ridgeway, Colorado — Butch Cassidy robbed his first bank in 1889. Since the 1970s though, when this ghost town was reintroduced as a ski town, people have been drawn to Telluride for the powder on the mountain. At 8,750 feet above sea level, Telluride maintains its Old West charm and small-town vibe without all the crowds you find at other Colorado resorts. And it’s not just for skiing. In the summertime, Telluride boasts a Bluegrass Festival, Jazz Festival, and Film Festival, not to mention fourteen “14-ers” (mountains over fourteen thousand feet high), just waiting to be climbed. 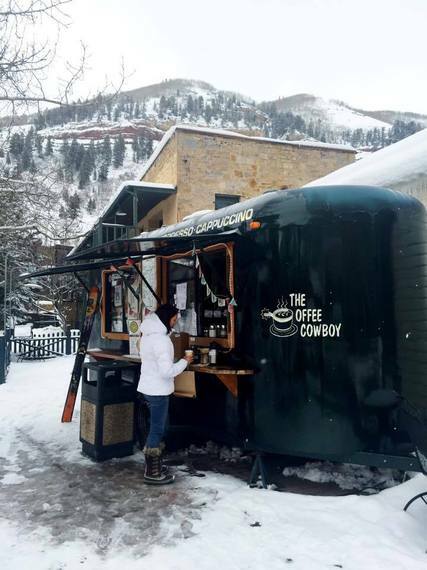 Here’s how to have the perfect night out in Telluride. 4 p.m.: First stop: the Telluride Historical Museum. Housed in Hall’s Hospital built in 1896, this intimate museum gives old and young visitors alike an overview of the rich and diverse history of the region from the days of the Nuchu/Ute Native American tribes to the miners and skiers. After catching up on your history, walk around town — the entire place was designated a National Historic Landmark in 1961—some 12 blocks long and eight blocks wide, where former houses of ill repute now play host to local residents along Colorado Avenue, Telluride’s main street. Sotheby’s International Realty Launches New Website! Sotheby’s International Realty Affiliates LLC today announced the launch of its newly redesigned website, sir.com, which was built to showcase its network’s listings in an immersive and visual way that is unique to the industry.